So I stumbled upon this Mean Well RPT-60B 60W PSU. Would this PSU be a good replacement for the original Commodore PC-1 PSU ? Also, I currently hacked together "an ATX -> PC-1 adapter" for hooking up an ATX PSU. I did some power measurements (putting my multimeter in-circuit to measure the current on the 5V and 12V rails, and I noticed that I'm only getting 7mA on the 5V rail and 220mA on the 12V rail. This seems very low (especially on the 5V rail). Any idea what might be causing this ? The computer is running fine, and even during benchmarks / gaming the current measurement hardly changes. Any ideas ? And the computer did not start (but works with the meter out of the circuit) then I would suspect the meter is not capable of passing the current, or something is wrong in the setup. Drawing 1200mA sounds more reasonable for the +5V line, but it is unclear how the meter would report this and yet the computer does not start. The specifications for the Mean Well PSU you found look reasonable. It provides more power than the original in all cases except for the ".2" (200mA) on the +12, which I would not expect to be a problem. The original PSU looks fairly basic, and unless the main transformer is bad, you should be able to locate any failed parts via Mouser, Digikey, etc. If the system works with the alternate PSU, and nothing seems out of the ordinary, i.e. you are not letting the smoke out of any parts, nothing is getting hotter than expected, etc. then why not just use the new PSU? I understand wanting to make sure everything is working correctly, however, without a known base-line of what a working system should be consuming on each power rail, the best you can do is guess. 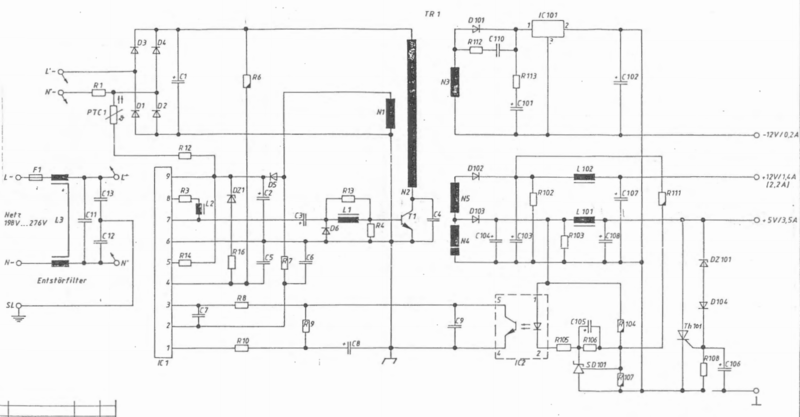 I suppose you could identify all the active components and total up their typical power ratings from datasheets (which would be a lot of effort), and use that as a base-line. Or, find someone else with that system and ask them to make current measurements (this is typically a tall request for most hobbyists / collectors). Alternatively you can invest in an adjustable power supply to test with, which will then show you exactly how much current is being drawn. This can help you make sure the new PSU will be sized correctly, and can help let you know if something is going wrong on the system board. You can also control the amount of current going to the system, which can help prevent blowing things up if something is going wrong on the board. Not the answer you're looking for? Browse other questions tagged commodore repair power or ask your own question. Can a standard ATX power supply be used on a Macintosh Performa 476? Why did Commodore fill their power supplies with epoxy? How to renew and re-ink old printer ribbons? Why did computers use a power supply with a socket? Commodore C128 MOS 6526A interchangeability? 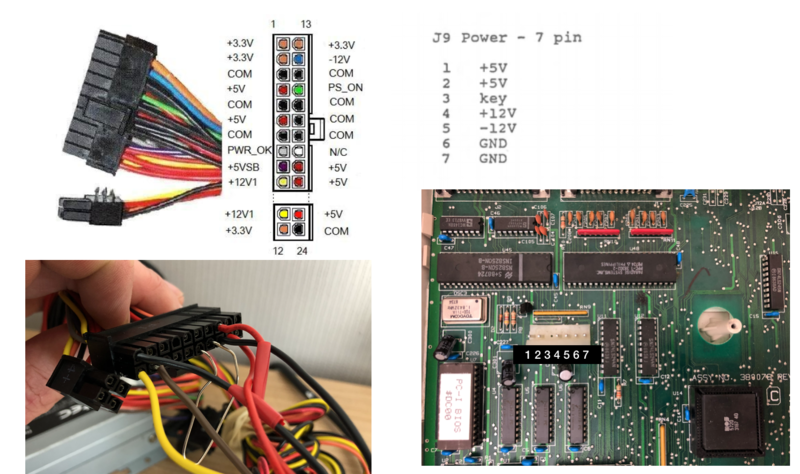 How do you open an Amiga A590 Power supply?